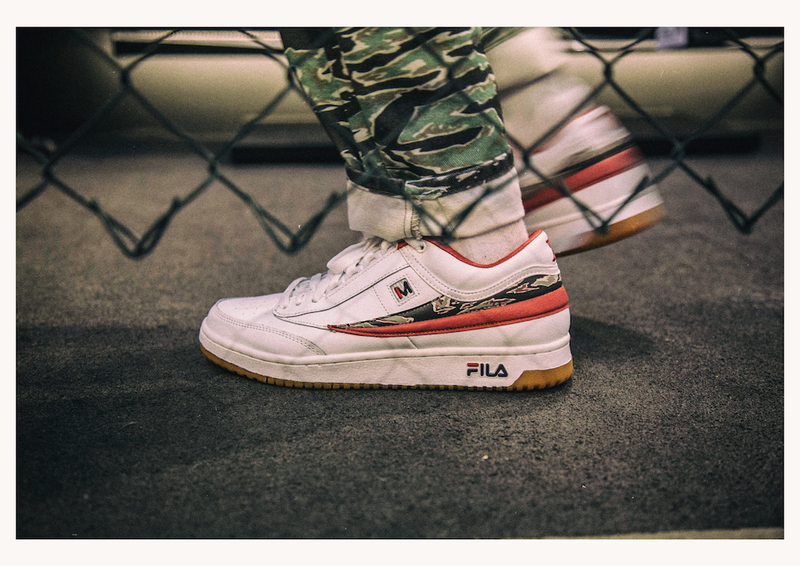 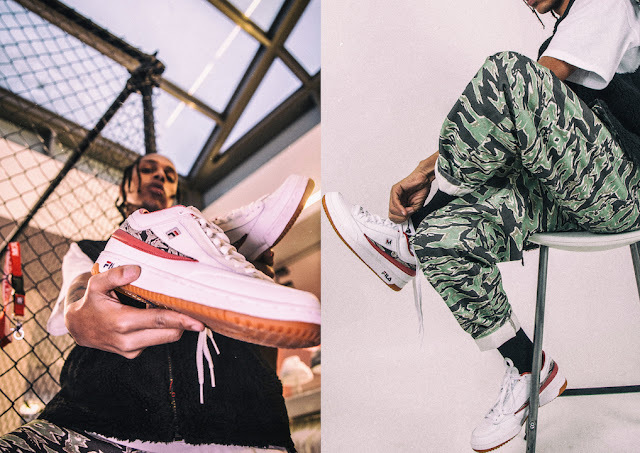 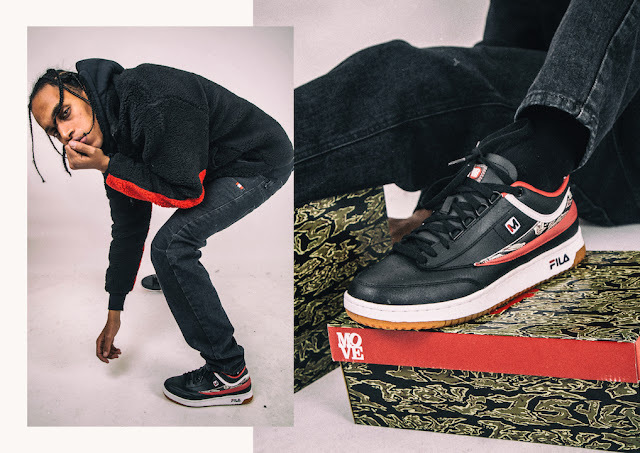 The collaboration, which celebrates MOVE's 15th anniversary, features FILA's signature sneaker style and incorporates MOVE's aesthetic with its tiger striped, camouflage design details. 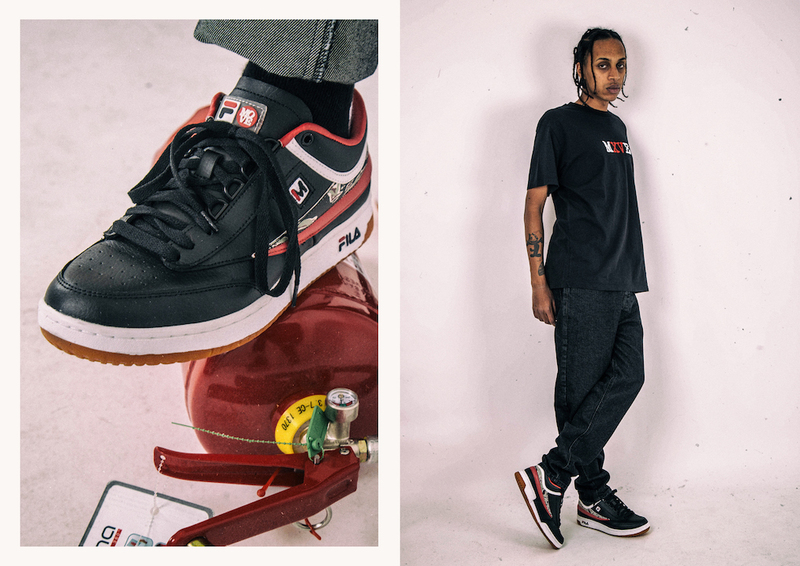 The FILA x MOVE T-1 Mid is available in two colourways, including both black and white styles. The sneakers are co-branded with FILA and MOVE logos with the dual-coloured FILA flag featuring the tiger striped, camouflage pattern alongside a red hue.